Luxury Cottage with a Hot Tub! 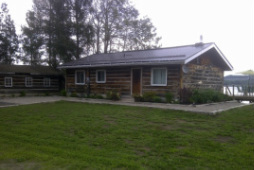 Rent our Luxury Cottage in Ontario. 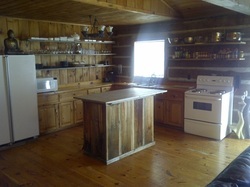 A cottage situated just minutes from town, has all the amenities that you could want in a rental property. Privacy, modern upgrades and access to Georgian Bay. Step into a world of timeless charm at our Luxury Log Cottage. Our quaint yet luxurious Georgian bay retreat is the perfect blend of an intimate and inviting rustic setting. Delight in the exquisite amenities and enjoy resort style cottaging at its best. Nestled in a narrow inlet on Georgian Bay this 1,100 square foot rustic retreat offers families or groups all the conveniences and amenities of home. Our cottage provides space and flexibility to suit the needs of any above average family or group. Lake access is via our gradual sloped safe sandy beach which is very child friendly, or from our deep water dock providing the perfect platform for boating, swimming, and other water sports. A wood deck, with hot tub, outdoor shower, view of the fire pit, audio system and traditional patio furniture is the ideal setting in which to lounge, sip a cocktail or enjoy a romantic summer evening by the fire. Take in the view of the incredible landscape throughout this historic area as you head out to the beach or on the water for seven days of fun. 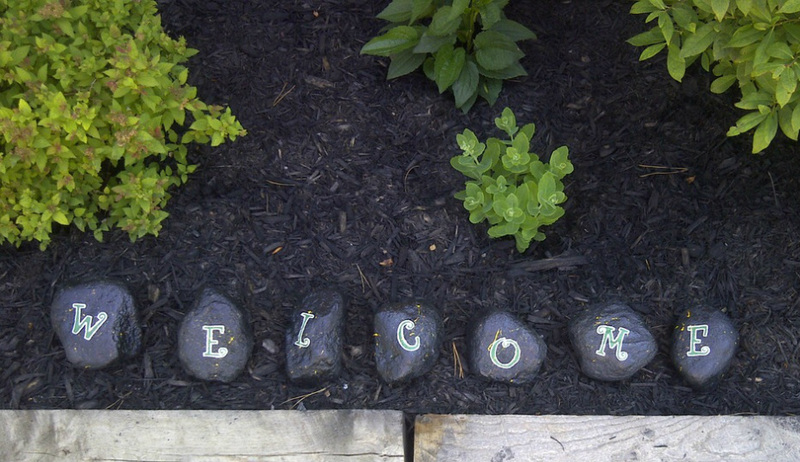 Our cottage is just 1.5 hours from midtown Toronto, and conveniently located just 2 minutes from down town Penetanguishene and 10 minutes from the town of Midland providing many excellent options for shopping for supplies. At our luxury cottage, you'll find the best of Georgian Bay. This is a year-round cottage. Only minutes away by boat is the 30,000 Islands and 3 minutes by car or boat is down town Penetanguishene. 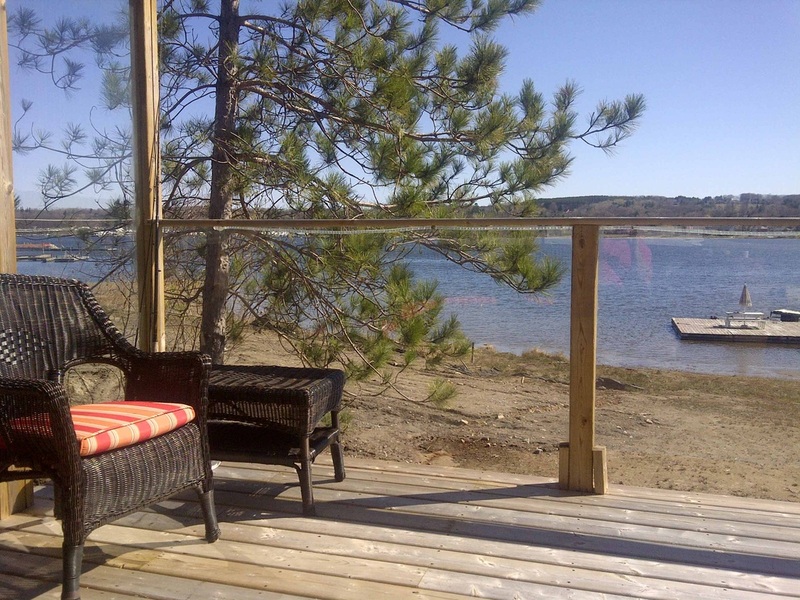 This cottage rental location has the best of Central Ontario within minutes. Summer vacation!... The family fun cottage rental 1.5 hours from Toronto. During the summer months you will find multiple places to golf close by. Georgian bay boasts some of the best fishing in North America. Giants Tomb is a short 20 minute ride by boat. The Georgian Queen is moored right across from the cottage at the town dock. 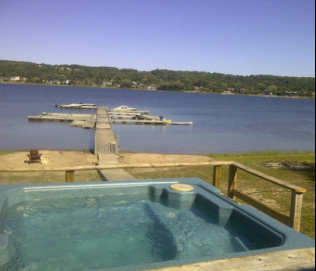 Rent jet skis, snowmobiles, boats, ice huts and pontoon boats with our cottage..
A log cabin situated just minutes from the town of Penetanguishene has all the amenities that you could want in a rental property. Privacy, modern upgrades and access to the Great Lakes. Wouldn't it be nice to kick back on the bay with all the amenities in a luxury rental cottage. You'll find no end to places to sit and relax with a 1000 square foot deck. Sit in the sun sun or shade, listen to music or fish off the bank. Herons, trumpeter swans and beavers are among the harbor visitors. In the event of a cold night we also provide a propane deck heater. The kitchen is a gourmet’s delight with the a spacious layout and all the latest amenities which allows for the chef of the house to work effortless. The Cottages interior features grand living room with soaring ceilings; a massive gas fireplace and a stunning view to the lake and the hills beyond. The house offers a Hi-Def home theater with Full access to all Satellite Television programming. This luxurious rental cottage has an open concept kitchen, dining area, living room with 60 inch plasma TV a massive stone, gas fireplace and two pull out sectional couches for all of your family and friends. This cabin also has a full bath and master bedroom with with a queen day bed and a pull out guest bed. Sitting on the deck in the evening can be one of the most relaxing and tranquil events at this all year cottage. Listen to the waves gently rolling in. Here at Chalet D&G - Sit on the back deck and listen to the soothing call of the loons, roast marshmallows in the outdoor fire pit, or turn up the music on the outdoor speakers and enjoy your time with friends and family. The tub is set right beside the stairs and has easy access and runs all year. Want to do some deep lake salmon fishing, or run the shoals looking for large bass. Have a few jet ski's and want the ready to go all week long...Here is the most useful dock for you boat at a rental cottage in Ontario. Will hold up to a dozen boats with shore power, lights and water. Bring a jet ski or a Jet boat, there are so many destinations for you that are less than 20 minutes by boat. Get out the charts!